Most likely dating from the 1950's, and around the time the old Kilbeggan Distillery closed. 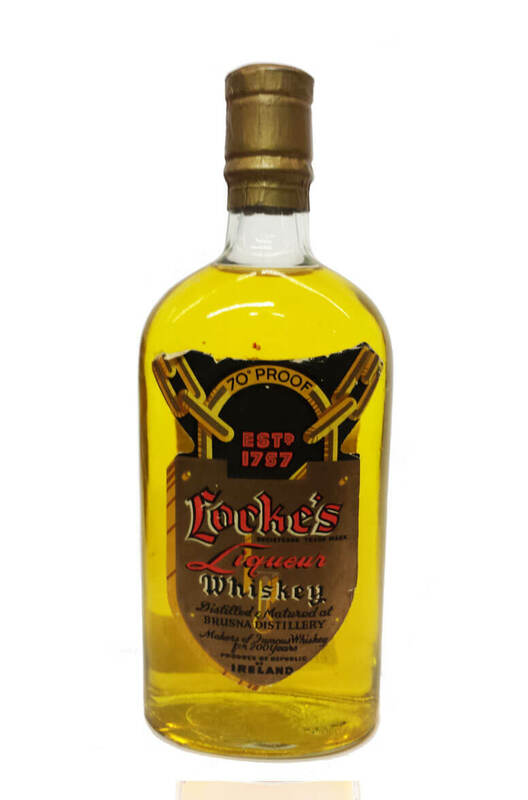 This is a rare old bottle of 'liqueur' whiskey, a term which was once used to described whiskey of a superior quality. The label states the strength is 70 proof and that it was 'distilled and matured at Brusna Distillery- makers of famous whiskey for 200 years'.